East Grinstead Bank No. D3056. 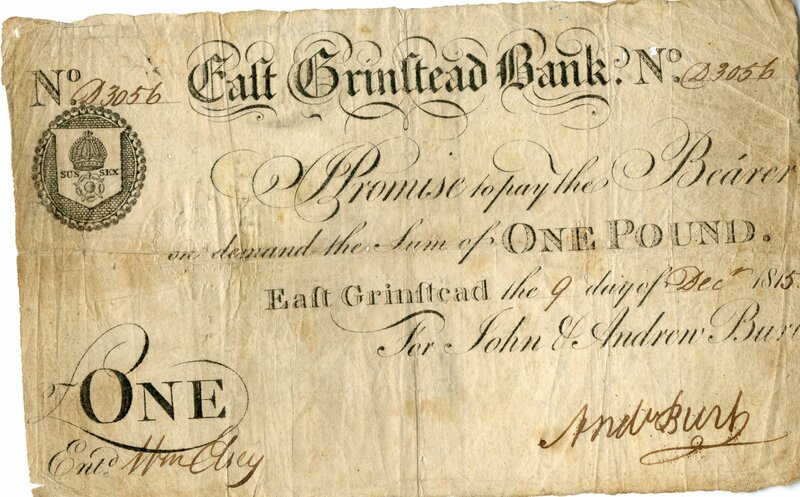 I promise to pay the bearer on demand the sum of ONE POUND East Grinstead the 9th day of Dec 1815 For John & Andrew Burt.